The story behind this one is - I wasn't drawing for a week or so and a friend of mine told me, in these exact words, to "draw something already." 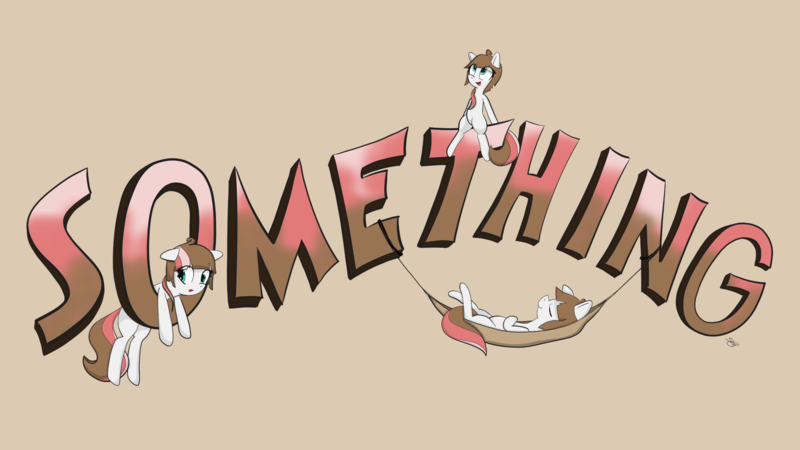 Being the sarcastic wingnut I am, I literally drew the word "SOMETHING" as you see it here and posted that as a response. Then I figured I may as well put some kind of new character on it and boom! This ended up being the final product. She's technically nameless, but the same guy who tried to get me to draw ended up calling her "Something" as kind of a joke. I don't know, I thought it was funny.